It is easy to forget that weekends are for more than doing chores, running errands, and sitting in front of the television or computer. They are the perfect opportunity to relax and indulge. There is no better way to do this than to take your loved ones on a weekend break in Europe. Here is where to go for the best getaways in Europe. Paris a fabulous place to relax and indulge! Explore the wonders of the Louvre, or the Musee Rodin, and immerse yourself in the beautiful art. Have a picnic on the grounds of the Eiffel Tower and then take a trip to the top to see a panoramic view of the city. Take a romantic stroll down Champs Élysées and explore the shops, cafes, and the Arc De Triomphe. Take a trip to Montmartre and explore this unique village located inside of the city. Seville is the beautiful capital city of the sunny Andalusia region of southern Spain. It is a great place to relax and unwind and there are so many things to do and see. You can catch a round of golf, relax on a beach or explore the wonderful treasures this city has to offer. No trip is complete without visiting the Alcázar of Seville. This majestic palace, constructed in the 14th century, is considered by many to be one of the most beautiful palaces in Spain. It also has extensive stunning gardens that you can explore to your heart’s content. Catch a bull fight at the Plaza de toros de la Real Maestranza de Caballería de Sevilla, a 12,000 seat bull ring that has been in operation since the 1800’s. For a real cultural experience be sure to plan your trip around the annual Seville Fair. Dubrovnik is known as “The Pearl of the Adriatic” and this fortified city is stunning. 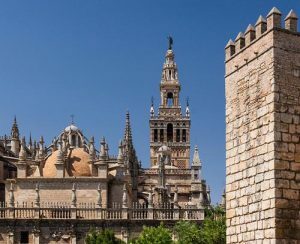 Take a guided walk through the Old Town, a UNESCO World Heritage Site, and explore the massive walls that were completed in the 1500’s. You may even find the crew of Game of Thrones filming a scene in this area as this is the setting for King’s Landing. Stroll along the pedestrian only, lime stoned streets of Stradun and indulge in the many cafes, shops and restaurants. Hop on the ferry and sail to the city of Lokrum where you can see the Fort Royal Castle. It is located 96m above sea level and the views will leave you breathless. If you want to make sure you see all that Dubrovnik has to offer, you could take a tour of the city. The only downside of spending a weekend exploring Dubrovnik, is that you won’t want to leave! Budapest is the capital city of Hungary and it is known as the City of Baths. Be sure to indulge in the Széchenyi Baths that are located in a stunning building that looks like a Baroque palace. You can take local cooking classes, take a boat cruise, or rent a bicycle and explore the paths that wind along the Danube River. Prague, Czech Republic, is an exciting city and the beer is cheaper than the bottled water! There is plenty to see and do here. Stroll through Wenceslas Square in the old town and catch the hourly performance of the medieval Astronomical Clock. 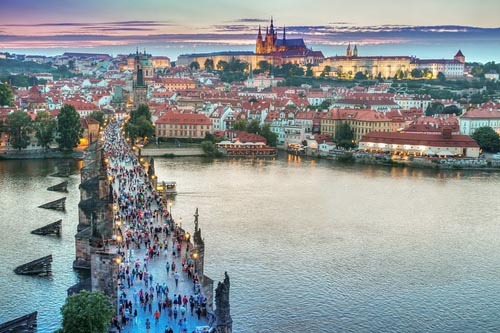 Charles Bridge is lined with statues of Catholic saints and you can stroll across it to view the stunning gothic architecture of St. Vitus Cathedral. Explore the Old Jewish Cemetery that has graves that date back to the 1500’s.